Life is unpredictable, and sometimes scary. My family and I usually attend Relay for Life at the University of Georgia with my son, a brain cancer survivor, Relay volunteer and UGA student. 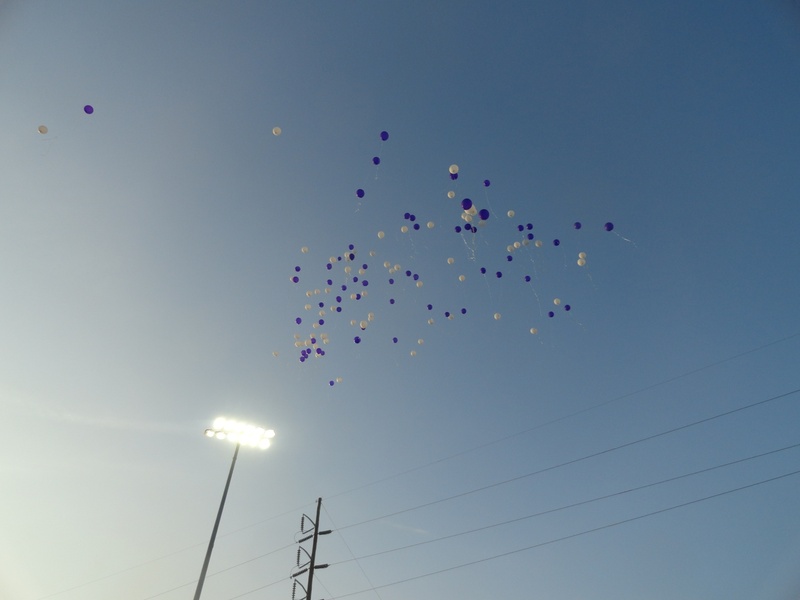 One year, greeters gave us purple and white balloons and markers, and asked us to write on them something that we wanted to let go of. 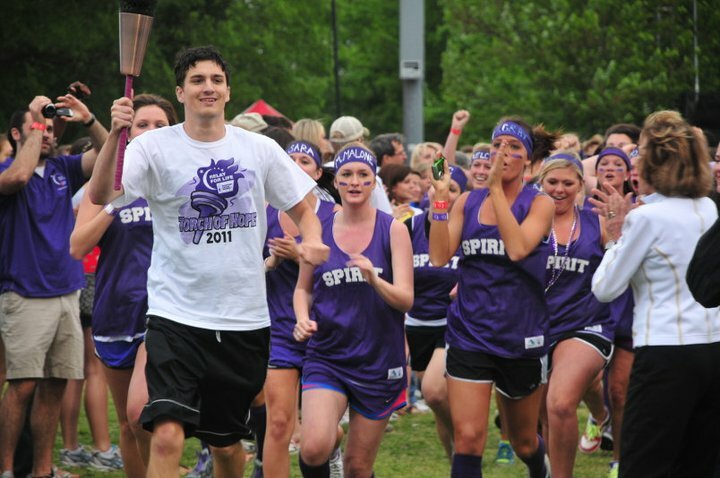 In a few days, we will attend this year’s Relay for Life at UGA. My son got involved with Relay in the fall of 2010, weeks after he recovered from brain surgery at Duke and finished radiation therapy at Emory. He has told his story numerous times and helped raise funds for cancer research, serving on the executive board this year to help with corporate donations. Just three years ago, I had no idea what was in store for my son and for our family. I’m a worrier by nature, a trait that sometimes went into overdrive while I was raising my children. I worried about things that might happen to them…but I never feared that any of them would get cancer. Then one day, one of them did. Before it happened, I began writing my novel, MAKE THAT DEUX. The protagonist, Jenny Miles, is 19 years old, the same age that my son was when he was diagnosed; he learned he had a brain tumor on his 19th birthday in May 2010. After two surgeries, setbacks, despair, pain, suffering, and recovery, he started back to school as a sophomore at the University of Georgia in August 2010. In October of that year, he learned that he was cancer-free. I know that at times, he was afraid. 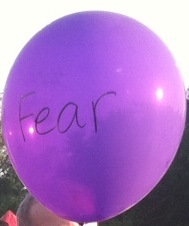 But he didn’t let fear overtake him. He lived through his illness with courage, strength and hope, and through his journey, he inspired me to let go of fear.